Thanks to my long stay in South East Asia, I had the privilege to meet knowledgeable Indian Yoga masters and Yoga teachers who shared their wisdom about yoga with me. They still guide and inspire me on my (yogic) path. The reason that I enjoy bringing these Yoga Masters to the Netherlands, is so that they can spread their wisdom and more people will benefit from their knowledge. Each year Yoga Master Prasad Rangnekar and Yoga Master Dev Kapil come to the Netherlands to teach yoga workshops and yoga teacher trainings. 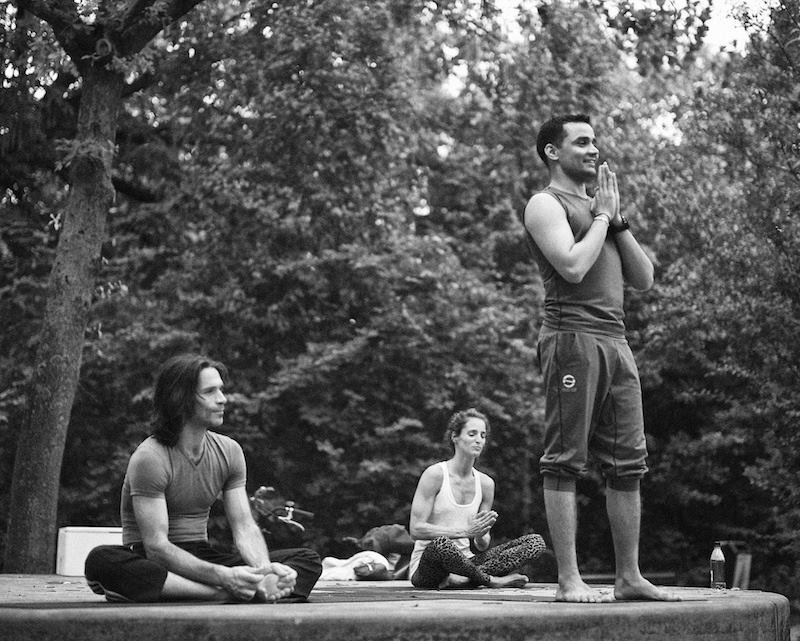 In May 2016 Prasad Rangnekar will be back in the Netherlands to teach a yoga for men only workshop on Friday evening May 20, 2016 and a weekend workshop 'Yoga and Urban Life' on 21 and 22 May, 2016. The next Hatha Yoga Teacher Training by Dev Kapil will start this autumn 2016. If you want to be informed about the latest news, check the news page on a regular basis or you can also contact me. The aim of The International Institute of Yogic Science, with its principal Yoga Master Dev Kapil, is to share old yoga traditions from India from thousands of years ago with as many yogi’s in the Western world to benefit our communities. To achieve this, very experienced Indian Yoga Masters will be brought to The Netherlands, so that they (and in a later stage we), will be able to spread their Yoga knowledge. In the meantime, the International Institute of Yogic Science has appointed representatives in a few countries in Europe and in Asia. As a result, I have been appointed as the representative of the IIYS for the Netherlands.